My name is Spring. 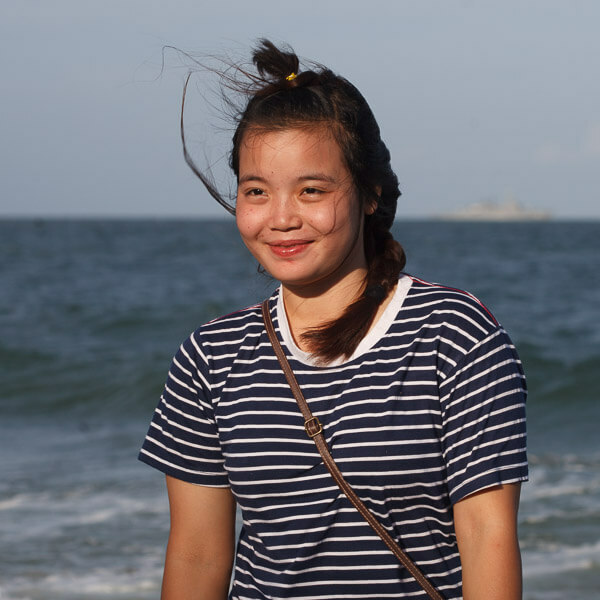 I am Karen and was born in 1994 in Mae Sot, Thailand. I grew up and studied in Mae Sot, which is crowded with the migrant workers coming from Burma. 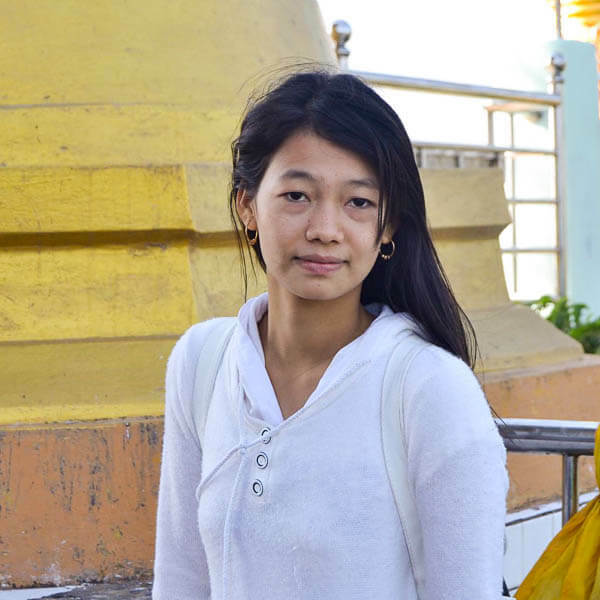 When I was young, I never had a chance to go back to Burma because my parents were descendants of an armed group that had been fighting against the central government for freedom and equality of the Karen people. My father left his native place called Sein Dar in Burma and joined the Karen National Union (KNU) in 1986. My mother and her family left Insein city in Burma in 1972. Due to the complex nature of the longest civil war in Burma, my parents have never had the chance to go back to Burma. In my childhood, I didn’t have a chance to live with my own family. My mother decided to send my brothers and me to her parents in Mae Ra Ma Luang Camp, Mae Hong Son province, Thailand to get a better education. 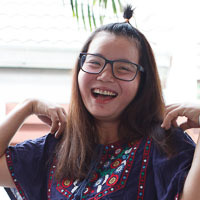 She remained in Mae Sot and worked as a teacher to support the rest of the family. I found it very difficult to live there in the camp without my parents in a rural area surrounded by mountains, with no large settlements and infrastructure. We had difficulties traveling one place to another as roads and communications were not constructed well and people were not allowed to go outside the camp. Even though I have faced those difficulties in my childhood, I overcame them and concentrated on my studies. In 2001, my mother took us back to Mae Sot to reunite the whole family. I was very happy to have a chance to live together with them in the city again. At that time, living in Mae Sot was unsafe for my family and me because we had no legal documents to live in either Thailand or Burma. As they were members of an armed ethnic group, they were not allowed to use Burma citizenship and they had no position to hold Thai citizenship either. Fortunately, my siblings and I had the opportunity to make a citizen identification card in Burma by putting our names under other family lists. After coming back from Mae Ra Ma Luang camp, I had an opportunity to attend Children’s Development Centre (CDC) where my parents worked. I graduated grade 12 in March of 2012. As a student at CDC, I saw the difficulties of the migrant students. I think it is our duty to shape a more justified and prosperous Burma by helping children of the next brighter generation. They faced many challenges like financial problems, an unstable and unrecognized education system, and security risks as the illegal immigrants. I have seen the migrant children working at dumps, in construction and others’ houses, and also heard many sad stories about their lives from my neighbors. I realized that it is our duty to create opportunity for migrant children to learn and better living standards for our country. After I graduated from CDC, I found it very difficult to continue my education. Since CDC is a migrant school, which is not an officially recognized school, it couldn’t offer an official certificate for migrant students to go to a university. Thus, I tried to become a candidate for a scholarship to attend GED test preparation courses at Bridging Educational Access to Migrants in Chiang Mai. Finally, I passed the GED exam in July 2013. After that, I came back to Mae Sot to work as a volunteer in Mae Tao Clinic and Children’s Development Centre. In my future, I want to become an education administrator or teacher because the community I live in needs more trained and knowledgeable administrators and teachers. I grew up along the Thai-Burma border, which is a migrant area. I have seen my parents and teachers try their best for the rights of their children to access education. I also have seen the lives of children in migrant areas through my life experiences. Most children in migrant areas have to leave their school to work for their family and their survival. Seeing and knowing the difficulties and situations of migrants has motivated me to become an education administrator or teacher. I want to enhance the prosperity of the community by sharing the knowledge that I have sought to have a better education for children, which then guarantees their brighter future. Hence, I want to be one of those people who helps make the dreams of children possible and allows them to accomplish their future goals. Written by Spring with editing assistance from Zomia’s volunteer editors. Spring is imbued with a deep sense of public service […] I have no doubt in my mind that she will pursue her goals zealously and will seek to promote positive change in her community.